My weekend was full of projects and I'm proud to say I completed some layouts of my favorite pictures. 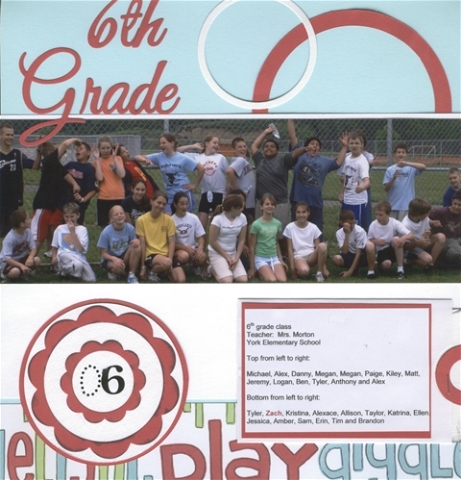 Zach's going into 8th grade and yet I just scrapped this picture of his 6th grade class. I love how all the kids were clowning around! 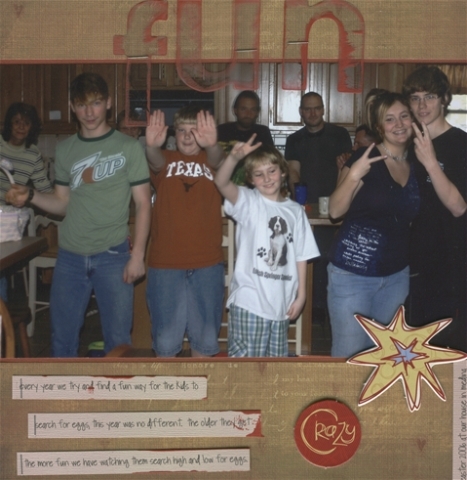 This is one left over from Easter of 2006 that I hadn't scrapped but just loved the picture with all the kids being silly again. Seems like I had a silly theme going with these?? ?